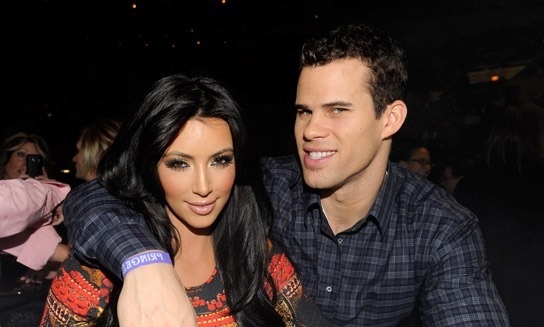 We’ve all heard about the proposal and engagement between Kim Kardashian and NBA player Kris Humphries (looks like the Kardashian sisters have all been bitten by the wedding bug). A lot of folks may have been waiting for the two to call it off, since that is the norm with celebrity engagements, but the two lovebirds have actually done it. Their wedding took place today, August 20th, at 6 pm. Some of the musical talents that showed up and performed include Stevie Wonder and Earth, Wind & Fire. The wedding took place in Monecito, California. Kim wore a custom wedding gown designed by Vera Wang and custom Louboutin shoes. The jewelry she wore were designed by Lorrain Schwartz and of course the princess wore her tiara and hair jewelryduring the after-party. Her sisters were her bridesmaids and they wore ivory green gowns. The ceremony was rumored to be held at Eric Schmidt’s (Google’s chairman) estate, but was actually at another magnate in Montecito. Some of the guest celebs that showed up include J-Lo, Justin Beiber, Serena Williams and La La Anthony (Kim’s close friend). Of course, this event will be televised – it was recorded and will air on E! It’s been reported that she will not be having a honeymoon and is scheduled to head straight to New York to begin filming for her reality show, “Kourtney & Kim Take New York”. However, there will be a second wedding party in New York, which was planned by Colin Cowie and Jason Binn (founder of Niche Media) will be throwing a celebration on August 31st at Capitale for the newlyweds. The two will be nesting together in penthouse suite at Gansevoort Park Ave.